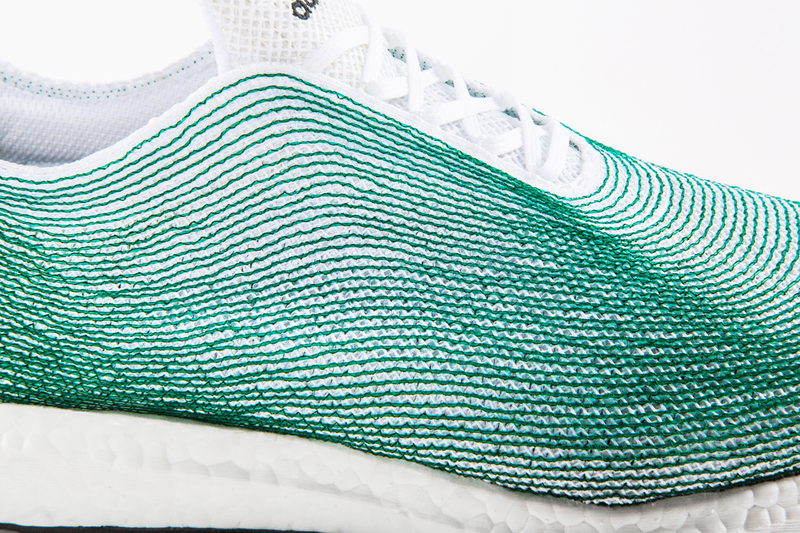 Inside the recycled adidas Ultra Boost. 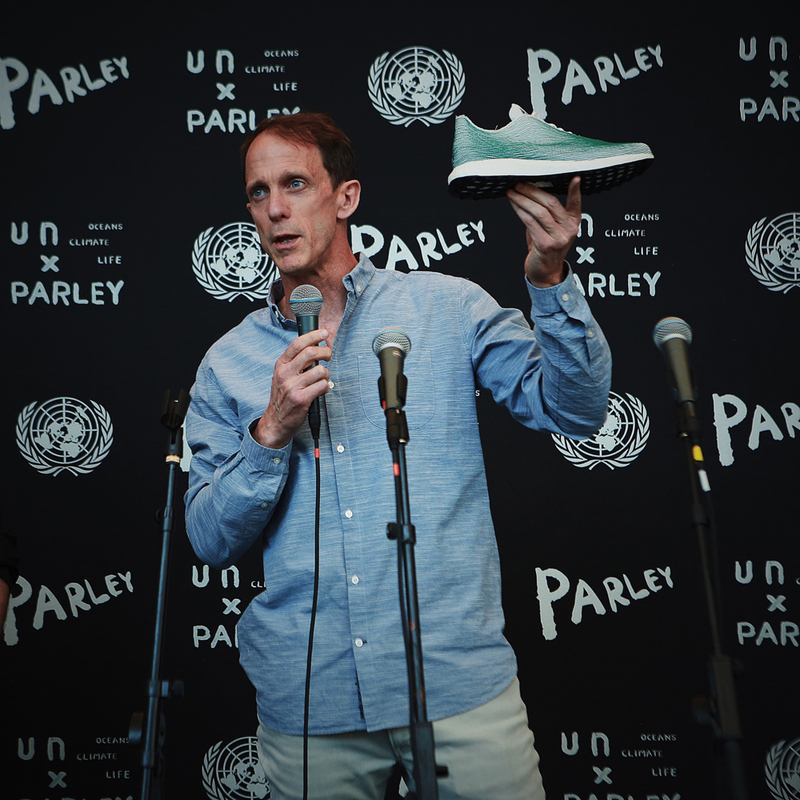 It’s not often that a sneaker launch takes place at a location like the United Nations headquarters. Why then, was a group of adidas design talent convened at the New York City complex that's usually reserved for geopolitical maneuvers? 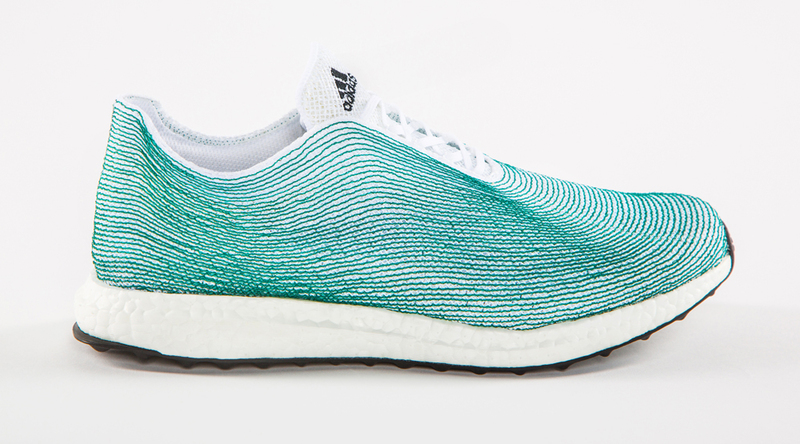 For the debut of the Parley for the Oceans x adidas collaboration, a project that turns its focus toward the unfortunate state of Earth’s oceans. The deal for the collaboration was signed in 2015, and the first products are scheduled to release early next year. 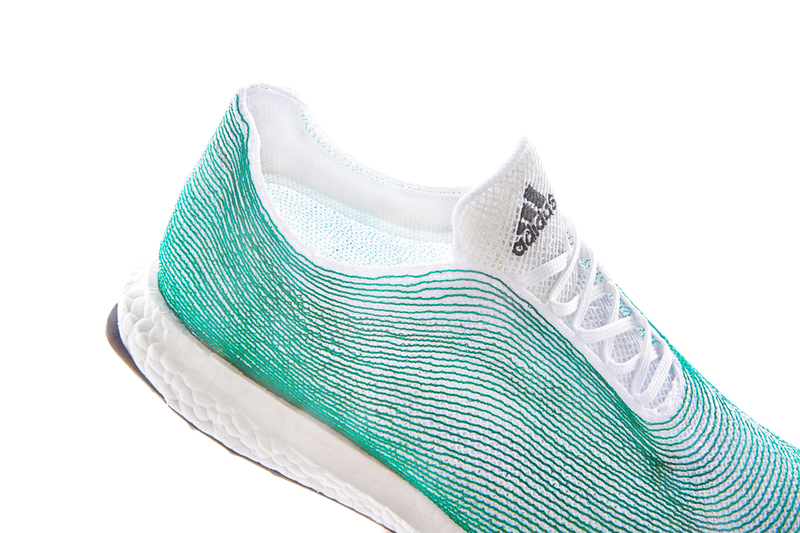 The first sneaker from the group, still in its prototype stages, was unveiled by adidas executive board member Eric Liedtke, a self-described surfer, snorkeler, and environmentalist. 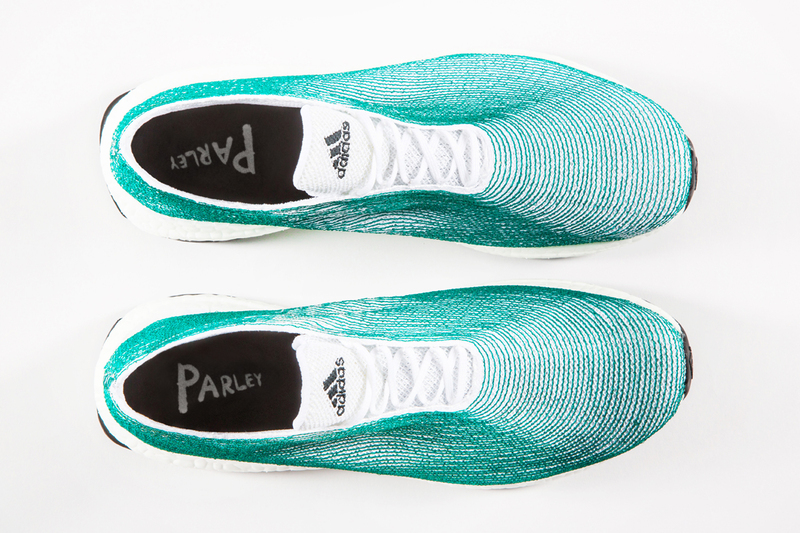 Parley, founded in 2013 by Cyrill Gutsch, is an organization dedicated to protecting the oceans. 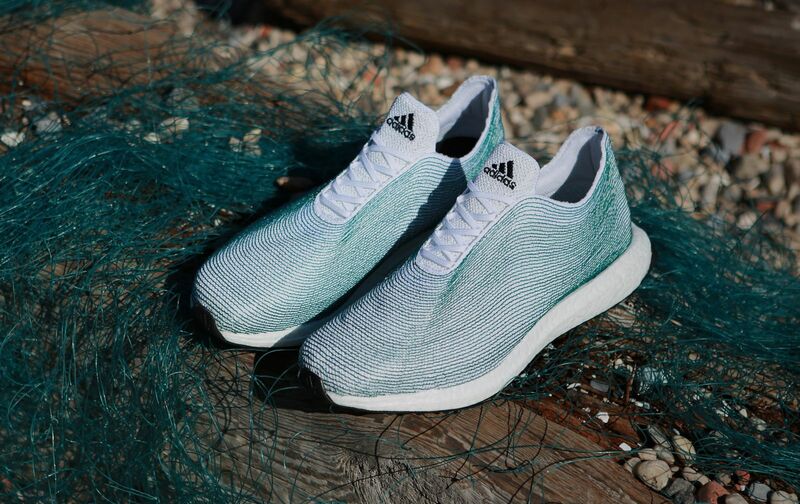 In the case of its partnership with adidas it’s transformed into a material supplier, providing the brand with the recycled ocean plastic and gillnet (vertical wall-like netting that threatens protected ocean species) that constitute the upper of the first adidas x Parley shoe. The shoe works on the base of the adidas Ultra Boost, a performance runner that the brand touts as “the greatest running shoe ever.” Its sleek design is the brainchild of Alexander Taylor, an independent designer contracted out by adidas. He's already got a strong resume with the Three Stripes, having been behind the original adidas Primeknit model. 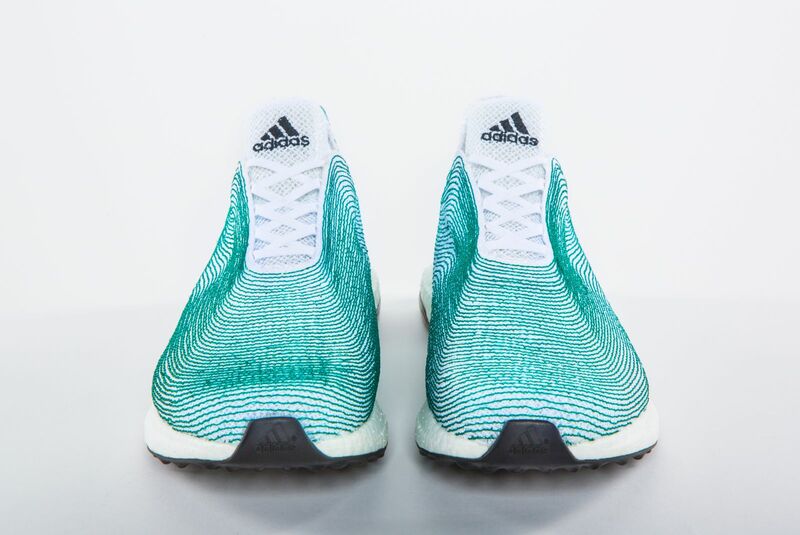 Taylor and his team created the sneaker in just ten days with the help of green chemist John Warner, who figured out how to turn the gillnet into a filament suitable for footwear. The shoe uses a new approach on the construction side called “tailored fiber placement” to reappropriate the ocean waste. The final product is transparent about its cause. While other recycled sneakers might strive to fit in with inline product, this pair makes a visual statement with its design. The green gillnet pieces are arranged in wavy lines across the upper that communicate the shoe’s status as a tool for environmental change. Taylor insists that it’s still a functional shoe for running as well, hence the Ultra Boost bottom. With that, Taylor is quick to point out that the model is still very much a “concept car.” The recycled upper hasn’t been run through the rigors of a true performance test, but it does serve as a blueprint of what’s to come as a retail release in the first quarter of 2016. adidas is also planning to release more sneakers and apparel during its five-year partnership with Parley. Part of that partnership includes a pledge to build all of its polyester products out of recycled ocean plastics going forward. From apparel to footwear, from its designers to its execs, it’s clear that adidas is serious about pushing for environmental change with the Parley project. All it needs now is the affirmation in 2016, when the adidas x Parley product launches, that customers are serious about it as well.